Hardback children’s book with 13 minute full read-along 3D animated DVD. 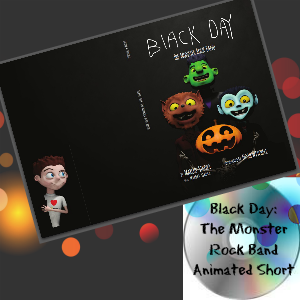 The Black Day: The Monster Rock Band hardback book with the animated short read-along DVD. 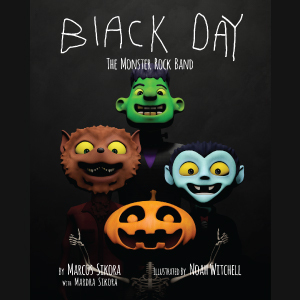 The DVD includes the 13 minute, 3D animated short, commentary feature, the song “We are the Band (Black Day! 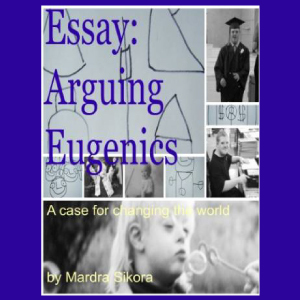 )” and a photo slide show. 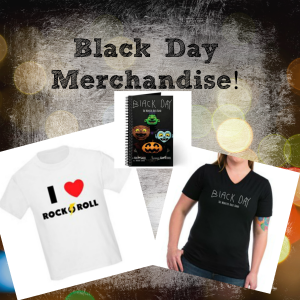 This Halloween…Do you want to be in the band?